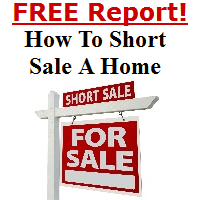 ***The Report Below is for home owners in hardship who are wondering "How To Short Sale A Home". Confused real estate agents should go here. We have set up this forum to provide Wells Fargo Short Sale Information and offer short sale help to Wells Fargo borrowers and agents. Wells Fargo seems to be one of the more consistent lenders to work short sales with. There are several specific Addendums that are required with every Wells Fargo Short Salethat are included below. Those are the Wells Fargo Short Sale Arms Length Affidavit, the Wells Fargo Listing Addendum, Wells Fargo Contract Addendum and a Wells Fargo Contract Extension Addendum. Sellers Can get money back for competing a short sale with Wells Fargo, in many cases $3,000 cash back with the HAFA Short Sale Program through Wells Fargo. Do you qualify for a Wells Fargo Short Sale? There is no cost involved or out of pocket expense for borrowers in financial hardship to work with one of the top short sale agents in the country. The first step is to find a local Wells Fargo Short Sale Realtor - Visit www.Short-Sale-Specialists.com! Does WF require any specific forms for a VA Compromise Sale? it sounds like a fannie owned loan being serviced by wells fargo. they made the same request from me about the date the seller signed the contract instead of the date the contract became "fully executed". Christina, they didn't like that the buyer dated their acceptance of a counter, above where the seller's date was. I had to make the buyer's agent to have the buyer move it to the left side of the initial far away from where the seller dated the contract on the bottom of the contract. They also wanted their Short Sale Affidavit date of contract dated not the date the contract was written but when the contract was signed by the seller. Their people are not contract lawyers, just arbitrarily change dates to match where they think it should be. When I replied to them in Equator that the buyer rejects their counteroffer, they don't give you an option to put in what they want to counter and the next message I received was that the transaction was removed from Equator and I would not able to submit another short sale on Equator again. That's it. No getting to the supervisor. Nothing. had a file i have worked with homeowner for three years. finally thought we had it at 114000 which is FULL FMV and fannie countered at 178000! of course submitted the homeopath dispute. wf cancelled file in equator and called the client and offered her DIL now that i negotiated the second and got that settled for them. i told the seller do it. 3 years. nothing. i am seriously considering not taking GSE short sales. i just do not see them willing to accept reasonable value since they started forming their own llc's and purchasing their foreclosed proeprties at auction in those llcs i believe they are figuring a new value. (what they can buy it at auction for + rent for 2 yrs. + what they will sell it for at that time. projected value of course but they are bullish on the market since they are setting it! they may even be including being able to sell the judgements to a collection agency in states like fl) this value vs short sale. they counter at that number. if they get it now. great. if they don't get it. foreclose. it is obviously working for them since they just posted record profit 2nd quarter in a row. and freddie posted 2nd highest since their creation. I agree with Thom. In Florida we continue to have lots of short sales and I believe SS will be around for quite some time. Recently however, it is apparent that we Realtors are simply doing to data collection from (usually) delinquent borrowers as we don't find out the inflated or exaggerated value until AFTER we have collected all the financial info from the borrower... Not only do we collect it but we also upload to Equator thereby saving the banks that hassle too. Slick move on their part. Though I find helping homeowners to be extremely gratifying I cannot continue to work without being paid - when Fannie & Freddie inflate values to the point of making a short sale impossible - well, we all know how that story ends: the Realtor doesn't get a dime. In Florida, we are not allowed to accept fees in advance (attorneys can but not Realtors). So, dear colleagues, where does that leave us? Refer these sellers to an attorney? Most sellers I deal with have no funds for an attorney. Suggest bankruptcy? Not take Fannie & Freddie listings? Tell the servicer THEY have to collect the documents and financial info from the borrower as we no longer provide such services (actually I like this idea but we ALL would have to be on board)? How is everyone else handling this situation? Surely you guys cannot continue to work for free either! I think I will go look through my files and see if any of my recent closings were Fannie or Freddie... maybe it's worse than I thought. Janet - I don't disagree that WF has been pretty good to deal with in the past. But, in my market (Orange County CA) Short Sales are very much becoming a thing of the distant past. Today alone, there are over 5,000 ACTIVE listings in Orange County. Of those, only 186 are "distressed" (Short, NOD, REO, etc.). Why work on short sales when we can get paid quicker on Standard Sales. 7 Years of nothing but short sales has been enough for me. Best of luck! why did they ask for the dates to be changed??? BOA gets bashed in the news constantly. i cannot for the life of me figure out how wells fargo avoids it cuz they are the worst!!! I am pretty much agreeing with you on this. I knew they had tactics when they started to tell me at the beginning how to write the purchase and sale agreement. Asking the dates of the mutual acceptance to be changed, etc. Cyndi - Walk-Away.... you really have to determine if this "fight" is worth your time, effort and the anxiety associated with it. Short Sales are becoming even more difficult than 7 years ago when they first began.